CORREOS will adapt four lorries from its fleet for CNG and LNG usage, and will be the main end user in this project aimed at developing the natural gas market for vehicles. The European Union has approved funding of 10 million euro for the ECO-GATE project. The project will be managed and coordinated by Nedgia, Naturgy Group, heading a consortium made of natural gas operators, technology and service providers, end users, and marketing and promotion experts from Spain, Portugal, France and Germany. Madrid, 22 September 2017. CORREOS is taking part in the ECO-GATE European project, a global action plan for developing the CNG and LNG market for vehicles in Europe. The project, led by Nedgia, Naturgy Group, has been granted 10-million-euro funding by the European Commission. CORREOS takes part in projects involving the use of alternative fuels like ECO-GATE (natural gas for vehicles) and POSTLowCit (autogas or liquefied petroleum gas for vehicles). CORREOS’s contribution to the project is, precisely, its needs as a customer. The Spanish postal service will be a relevant end user, along with transport operators San José López and EMT Palma. The Spanish postal operator’s participation consists in adapting four vehicles to run on CNG/LNG as fuels on routes included in the Trans-European Transport Network (TEN-t). 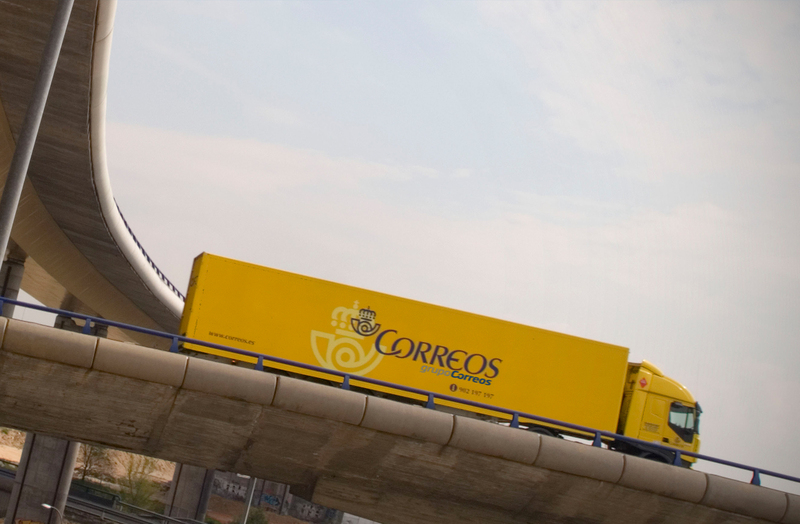 These vehicles will share roads with other CORREOS vehicles running on conventional fuels. The company will thus be able to compare the efficiency and cost-effectiveness of the fuels and vehicles used, and then decide which one is best for the mail industry. Currently, CORREOS leads the POSTLowCIT project, developed with European Commission funding within the framework of the Connecting Europe Facility (CEF) funding instrument. Natural gas vehicles (NGVs) play a key role in sustainable mobility, as they help reduce air pollution. Moreover, they can make a significant contribution to the fulfilment of Spain’s environmental goals. NGVs are clearing the air: they produce near-zero NO2 emissions and reduce volatile particulate matter emissions by 96 per cent, which is good not only for the environment but also for public health.